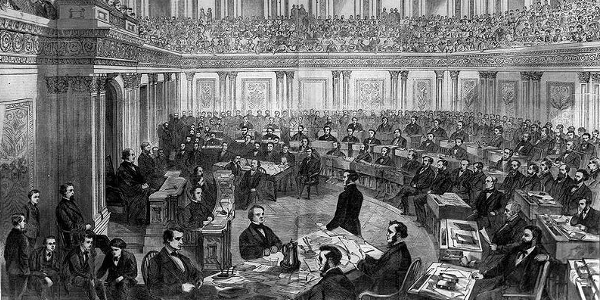 March 5, 1868 - The impeachment trial of Andrew Johnson begins in the Senate. 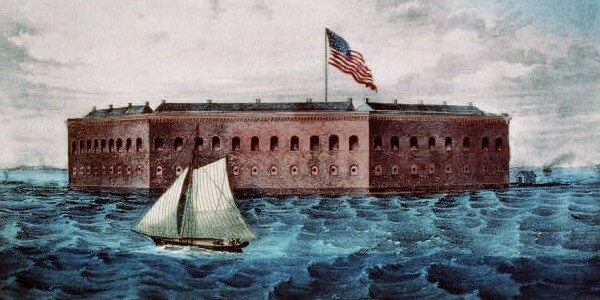 Johnson was charged with violating the Tenure of Office Act by trying to remove the Secretary of War, Edwin M. Stanton. The President is acquitted by one vote. The passage of the Tenure of Office Act one year earlier, March 3, 1867, had created a schism between the perceived powers of the Congress and the President. Congress wanted control. They wanted control over the hiring and firing of adminstrative personel responsible for reconstruction. President Andrew Johnson wanted the same. The bill had been vetoed by the President with the Senate overriding the veto. The Tenure of Office Act, in essence, would restrict the President from firing an executive officer (cabinet official) that had been approved by the Senate without asking their permission. It would have a sketchy history. Beyond prompting the first impeachment of a President in the history of the United States, it would be quickly amended two years after approval. Twenty years later, in 1887, it would be repealed altogether, because the United States Supreme Court ruled it unconstitutional. Pretty good Johnson was acquitted of the charge. 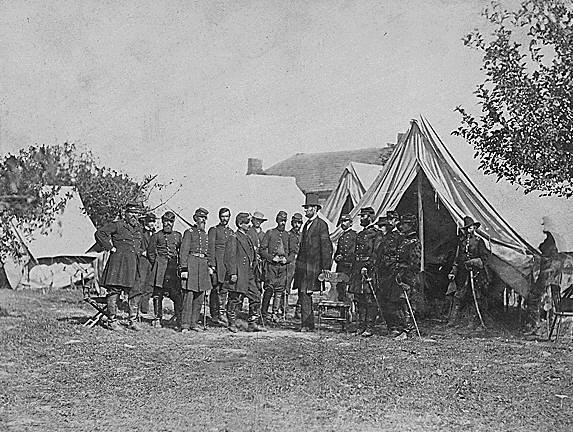 There was a disagreement between factions of the Republican Party on how to deal with reconstruction. Johnson, a Southerner, was tough, but switched course after a few months in office to a more lenient stance, which many of the Republican Radicals despised. 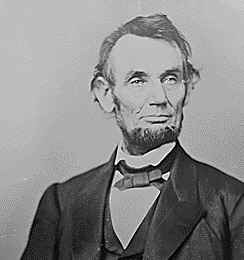 He offered general amnesty to Confederates and vetoed legislation in February 1866 that would assist former slaves. In the mid-term elections, the Republicans gained more ground in Congress, passed Civil Rights legislation, and carved the South into five military districts. 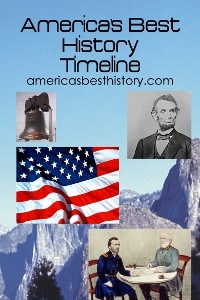 Congress would rely on a holdover from Lincoln, Secretary of War, Edwin M. Stanton, to implement their strategies. Passage of the Tenure of Office Act would insure he wouldn't get fired. Johnson disagreed, asking for Stanton's resignation, which he would not offer. So while Congress was out of session, Johnson suspended Stanton on August 5, 1867, replacing him with U.S. Grant. His entire intention was to create a court case challenging the validity of the Tenure of Office Act. On January 7, 1868, the Senate officially disagreed, Grant resigned, and Stanton took office again. 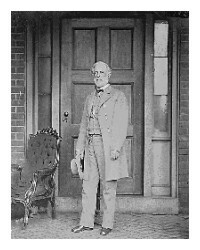 Johnson disagreed again, appointing General Thomas to remove Stanton and take the post. Stanton arrested Thomas, but relented. By February 24, 1868, the vote in the House of Represenatives to impeach the President for lack of adherence to the Tenure of Office Act was held, 126 to 47 for the articles of impeachment. ARTICLE 1. That said Andrew Johnson, President of the United States, on the 21st day of February, in the year of our Lord, 1868, at Washington, in the District of Columbia, unmindful of the high duties of his oath of office and of the requirements of the Constitution, that he should take care that the laws be faithfully executed, did unlawfully, in violation of the Constitution and laws of the United States, issue an order in writing for the removal of Edwin M. Stanton from the office of Secretary of the Department of War, said Edwin M. Stanton having been, therefor, duly appointed and commissioned by and with the advice and consent of the Senate of the United States as such Secretary; and said Andrew Johnson, President of the United States, on the 12th day of August, in the year of our Lord 1867, and during the recess of said Senate, having suspended by his order Edwin M. Stanton from said office, and within twenty days after the first day of the next meeting of said Senate, on the 12th day of December, in the year last aforesaid, having reported to said Senate such suspension, with the evidence and reasons for his action in the case, and the name of the person designated to perform the duties of such office temporarily, until the next meeting of the Senate, and said Senate therafterwards, on the 13th day of January, in the year of our Lord 1868, having duly considered the evidence and reasons reported by said Andrew Johnson for said suspension, did refuse to concur in said suspension; whereby and by force of the provisions of an act entitled "an act regulating the tenure of civil officer," passed March 2, 1867, said Edwin M. Stanton did forthwith resume the functions of his office, whereof the said Andrew Johnson had then and there notice, and the said Edwin M. Stanton, by reason of the premises, on said 21st day of February, was lawfully entitled to hold said office of Secretary for the Department of War, which said order for the removal of said Edwin M. Stanton is, in substance, as follows, that is to say: Executive Mansion, Washington, D.C., Feb. 21, 1868. Sir: By virtue of the power and authority vested in me, as President, by the Constitution and laws of the United States, you are hereby removed from the office of Secretary for the Department of War and your functions as such will terminate upon receipt of their communication. You will transfer to Brevet Major-General L. Thomas, Adjutant-General of the Army, who has this day been authorized and empowered to act as Secretary of War ad interim, all books, paper and other public property now in your custody and charge. Respectfully, yours, Andrew Johnson. To the Hon. E. M. Stanton, Secretary of War Which order was unlawfully issued, and with intent then are there to violate the act entitled "An act regulating the tenure of certain civil office," passed March 2, 1867, and contrary to the provisions of said act, and in violation thereof, and contrary to the provisions of the Constitution of the United States, and without the advice and consent of the Senate of the United States, the said Senate then and there being in session, to remove said E. M. Stanton from the office of Secretary for the Department of War, whereby said Andrew Johnson, President of the United States, did then and there commit, and was guilty of a high misdemeanor in office. ARTICLE 2. That on the 21st day of February, in the year of our Lord 1868, at Washington, in the District of Columbia, said Andrew Johnson, President of the United States, unmindful of the high duties of his oath of office, and in violation of the Constitution of the United States, and contrary to the provisions of an act entitled "An act regulating the tenure of certain civil office," passed March 2, 1867, without the advice and consent of the Senate, then and there being in session, and without authority of law, did appoint one L. Thomas to be Secretary of War ad interim, by issuing to said Lorenzo Thomas a letter of authority, in substance as follows, that is to say: Executive Mansion, Washington, D.C., Feb. 21, 1868. Sir: The Hon. Edwin M. Stanton having been this day removed from office as Secretary of the Department of War, you are hereby authorized and empowered to act as Secretary of War ad interim, and will immediately enter upon the discharge of the duties pertaining to that office. Mr. Stanton has been instructed to transfer to you all the records, books, papers and other public property now in his custody and charge. Respectfully yours, Andrew Johnson. To Brevet Major-General Lorenzo Thomas, Adjutant-General United States Army, Washington, D.C. Whereby said Andrew Johnson, President of the United States, did then and there commit, and was guilty of a high misdemeanor in office. ARTICLE 3. That said Andrew Johnson, President of the United States, on the 21st day of February, in the year of our Lord one thousand eight hundred and sixty-eight, at Washington in the District of Columbia, did commit, and was guilty of a high misdemeanor in office, in this: That without authority of law, while the Senate of the United States was then and there in session, he did appoint one Lorenzo Thomas to be Secretary for the Department of War, ad interim, without the advice and consent of the Senate, and in violation of the Constitution of the United States, no vacancy having happened in said office of Secretary for the Department of War during the recess of the Senate, and no vacancy existing in said office at the time, and which said appointment so made by Andrew Johnson of said Lorenzo Thomas is in substance as follows, that is to say: Executive Mansion, Washington, D.C., Feb. 21, 1868. Sir: The Hon. E. M. Stanton having been this day removed from office as Secretary for the Department of War, you are hereby authorized and empowered to act as Secretary of War ad interim, and will immediately enter upon the discharge of the duties pertaining to that office. Mr. Stanton has been instructed to transfer to you all the records, books, papers and other public property now in his custody and charge. Respectfully yours, Andrew Johnson To Brevet Major-General L. Thomas, Adjutant-General United States Army, Washington, D.C. ARTICLE 4. That said Andrew Johnson, President of the United States, unmindful of the high duties of his office, and of his oath of office, in violation of the Constitution and laws of the United States, on the 21st day of February, in the year of our Lord 1868, at Washington, in the District of Columbia, did unlawfully conspire with one Lorenzo Thomas, and with other persons to the House of Representatives unknown, with intent, by intimidation and threats, to hinder and prevent Edwin M. Stanton, then and there, the Secretary for the Department of War, duly appointed under the laws of the United States, from holding said office of Secretary for the Department of War, contrary to and in violation of the Constitution of the United States, and of the provisions of an act entitled "An act to define and punish certain conspiracies," approved July 31, 1861, whereby said Andrew Johnson, President of the United States, did then and there commit and was guilty of high crime in office. ARTICLE 5. That said Andrew Johnson, President of the United States, unmindful of the high duties of his office and of his oath of office, on the 21st of February, in the year of our Lord one thousand eight hundred and sixty-eight, and on divers other days and time in said year before the 28th day of said February, at Washington, in the District of Columbia, did unlawfully conspire with one Lorenzo Thomas, and with other persons in the House of Representatives unknown, by force to prevent and hinder the execution of an act entitled "An act regulating the tenure of certain civil office," passed March 2, 1867, and in pursuance of said conspiracy, did attempt to prevent E. M. Stanton, then and there being Secretary for the Department of War, duly appointed and commissioned under the laws of the United States, from holding said office, whereby the said Andrew Johnson, President of the United States, did then and there commit and was guilty of high misdemeanor in office. ARTICLE 6. That Andrew Johnson, President of the United States, unmindful of the duties of his high office and of his oath of office, on the 21st day of February, in the year of our Lord 1868, at Washington, in the District of Columbia, did unlawfully conspire with one Lorenzo Thomas, by force to seize, take and possess the property of the United Sates at the War Department, contrary to the provisions of an act entitled "An act to define and punish certain conspiracies," approved July 31, 1861, and with intent to violate and disregard an act entitled "An act regulating the tenure of certain civil offices," passed March 2, 1867, whereby said Andrew Johnson, President of the United States, did then and there commit a high crime in office. ARTICLE 7. That said Andrew Johnson, President of the United States, unmindful of the high duties of his office, and of his oath of office, on the 21st day of February, in the year of our Lord 1868, and on divers other days in said year, before the 28th day of said February, at Washington, in the District of Columbia, did unlawfully conspire with one Lorenzo Thomas to prevent and hinder the execution of an act of the United States, entitled "An act regulating the tenure of certain civil office," passed March 2, 1867, and in pursuance of said conspiracy, did unlawfully attempt to prevent Edwin M. Stanton, then and there being Secretary for the Department of War, under the laws of the United States, from holding said office to which he had been duly appointed and commissioned, whereby said Andrew Johnson, President of the United States, did there and then commit and was guilty of a high misdemeanor in office. ARTICLE 8. That said Andrew Johnson, President of the United States, unmindful of the high duties of his office, and of his oath of office, on the 21st day of February, in the year of our Lord, 1868, at Washington, in the District of Columbia, did unlawfully conspire with one Lorenzo Thomas, to seize, take and possess the property of the United States in the War Department, with intent to violate and disregard the act entitled "An act regulating the tenure of certain civil office," passed March 2, 1867, whereby said Andrew Johnson, President of the United States, did then and there commit a high misdemeanor in office. ARTICLE 9. That said Andrew Johnson, President of the United States, on the 22nd day of February, in the year of our Lord 1868, at Washington, in the District of Columbia, in disregard of the Constitution and the law of Congress duly enacted, as Commander-in-Chief, did bring before himself, then and there, William H. Emory, a Major-General by brevet in the Army of the United States, actually in command of the Department of Washington, and the military forces therefor, and did and there, as Commander-in-Chief, declare to, and instruct said Emory, that part of the law of the United States, passed March 2, 1867, entitled "an act for making appropriations for the support of the army for the year ending June 30, 1868, and for other purposes," especially the second section thereof, which provides, among other things, that all orders and instructions relating to military operations issued by the President and Secretary of War, shall be issued through the General of the Army, and in case of his inability, through the next in rank was unconstitutional, and in contravention of the commission of Emory, and therefore not binding on him, as an officer in the Army of the United States, which said provisions of law had been therefore duly and legally promulgated by General Order for the government and direction of the Army of the United States, as the said Andrew Johnson then and there well knew, with intent thereby to induce said Emory, in his official capacity as Commander of the Department of Washington, to violate the provisions of said act, and to take and receive, act upon and obey such orders as he, the said Andrew Johnson, might make and give, and which should not be issued through the General of the Army of the United States, according to the provisions of said act, whereby said Andrew Johnson, President of the United States, did then and there commit, and was guilty of a high misdemeanor in office; and the House of Representatives, by protestation, saving to themselves the liberty of exhibition, at any time hereafter, any further articles of their accusation or impeachment against the said Andrew	Johnson, President of the United States, and also or replying to his answers, which will make up the articles herein preferred against him, and of offering proof to the same and every part thereof, and to all and every other article, accusation or impeachment which shall be exhibited by them as the case shall require, do demand that the said Andrew Johnson may be put to answer the high crimes and misdemeanors in office herein charged against him, and that such proceedings, examinations, trials and judgments may be thereupon had and given had and given as may be agreeable to law and justice. ARTICLE 10. That said Andrew Johnson, President of the United States, unmindful of the high duties of his high office and the dignity and proprieties thereof, and of the harmony and courtesies which ought to exist and be maintained between the executive and legislative branches of the Government of the United States, designing and intending to set aside the rightful authorities and powers of Congress, did attempt to bring into disgrace, ridicule, hatred, contempt and reproach, the Congress of the United States, and the several branches thereof, to impair and destroy the regard and respect of all the good people of the United States for the Congress and the legislative power thereof, which all officers of the government ought inviolably to preserve and maintain, and to excite the odium and resentment of all good people of the United States against Congress and the laws by it duly and constitutionally enacted; and in pursuance of his said design and intent, openly and publicly and before divers assemblages of citizens of the United States, convened in divers parts thereof, to meet and receive said Andrew Johnson as the Chief Magistrate of the United States, did, on the eighteenth day of August, in the year of our Lord one thousand eight hundred and sixty-six, and on divers other days and times, as well before as afterwards, make and declare, with a loud voice, certain intemperate, inflammatory and scandalous harangues, and therein utter loud threats and bitter menaces, as well against Congress as the laws of the United States duly enacted thereby, amid the cries, jeers and laughter of the multitudes then assembled in hearing, which are set forth in the several specifications hereinafter written, in substance and effect, that it to say: "Specification First. In this, that at Washington, in the District of Columbia, In the Executive Mansion, to a committee of citizens who called upon the President of the United States, speaking of and concerning the Congress of the United States, heretofore, to wit: On the 18th day of August, in the year of our Lord, 1866, in a loud voice, declare in substance and effect, among other things, that is to say: "So far as the Executive Department of the government is concerned, the effort has been made to restore the Union, to heal the breach, to pour oil into the wounds which were consequent upon the struggle, and, to speak in a common phrase, to prepare, as the learned and wise physician would, a plaster healing in character and co-extensive with the wound. We thought and we think that we had partially succeeded, but as the work progresses, as reconstruction seemed to be taking place, and the country was becoming reunited, we found a disturbing and moving element opposing it. In alluding to that element it shall go no further than your Convention, and the distinguished gentleman who has delivered the report of the proceedings, I shall make no reference that I do not believe, and the time and the occasion justify. We have witnessed in one department of the government every endeavor to prevent the restoration of peace, harmony and union. We have seen hanging upon the verge of the government, as it were, a body called or which assumes to be the Congress of the United States, while in fact it is a Congress of only part of the States. We have seen this Congress pretend to be for the Union, when its every step and act tended to perpetuate disunion and make a disruption of States inevitable. We have seen Congress gradually encroach, step by step, upon constitutional rights, and violate day after day, and month after month, fundamental principles of the government. We have seen a Congress that seemed to forget that there was a limit to the sphere and scope of legislation. We have seen a Congress in a minority assume to exercise power which, if allowed to be consummated, would result in despotism or monarchy itself." "Specification Second. In this, that at Cleveland, in the State of Ohio, heretofore to wit: On the third day of September, in the year of our Lord, 1866, before a public assemblage of citizens and others, said Andrew Johnson, President of the United States, speaking of and concerning the Congress of the United States, did, in a loud voice, declare in substance and effect, among other things, that is to say: "I will tell you what I did do? I called upon your Congress that is trying to break up the government. In conclusion, beside that Congress had taken much pains to poison the constituents against him, what has Congress done? Have they done anything to restore the union of the States? No. On the contrary, they had done everything to prevent it: and because he stood now where he did when the Rebellion commenced, he had been denounced as a traitor, Who had run greater risks or made greater sacrifices than himself? But Congress, factions and domineering, had undertaken to poison the minds of the American people." "Specification Third. In this case, that at St. Louis, in the State of Missouri, heretofore to wit: On the 8th day of September, in the year of our Lord 1866, before a public assemblage of citizens and others, said Andrew Johnson, President of the United States, speaking of acts concerning the Congress of the United States, did, in a loud voice, declare in substance and effect, among other things, that is to say:? "Go on; perhaps if you had a word or two on the subject of New Orleans you might understand more about it than you do, and if you will go back and ascertain the cause of the riot at New Orleans, perhaps you will not be so prompt in calling out "New Orleans." If you will take up the riot of New Orleans and trace it back to its source and its immediate cause, you will find out who was responsible for the blood that was shed there. If you will take up the riot at New Orleans and trace it back to the Radical Congress, you will find that the riot at New Orleans was substantially planned. If you will take up the proceedings in their caucuses you will understand that they knew that a convention was to be called which was extinct by its powers having expired; that it was said that the intention was that a new government was to be organized, and on the organization of that government the intention was to enfranchise one portion of the population, called the colored population, and who had been emancipated, and at the same time disfranchise white men. When you design to talk about New Orleans you ought to understand what you are talking about. When you read the speeches that were made, and take up the facts on the Friday and Saturday before that convention sat, you will find that speeches were made incendiary in their character, exciting that portion of the population, the black population, to arm themselves and prepare for the shedding of blood. You will also find that convention did assemble in violation of law, and the intention of that convention was to supersede the organized authorities in the State of Louisiana, which had been organized by the government of the United States, and every man engaged in that rebellion, in the convention, with the intention of superseding and upturning the civil government which had been recognized by the Government of the United States, I say that he was a traitor to the Constitution of the United States, and hence you find that another rebellion was commenced, having its origin in the Radical Congress. So much for the New Orleans riot. And there was the cause and the origin of the blood that was shed, and every drop of blood that was shed is upon their skirts and they are responsible. I could test this thing a little closer, but will not do it here to-night. But when you talk about the causes and consequences that resulted from proceedings of that kind, perhaps, as I have been introduced here and you have provoked questions of this kind, though it does not provoke me, I will tell you a few wholesome things that have been done by this Radical Congress in connection with New Orleans and the extension of the elective franchise. I know that I have been traduced and abused. I know it has come in advance of me here, as elsewhere, that I have attempted to exercise an arbitrary power in resisting laws that were intended to be forced upon the government; that I had exercised that power; that I had abandoned the party that elected me, and that I was a traitor, because I exercised the veto power in attempting, and did arrest for a time, that which was called a "Freedmen's Bureau" bill. Yes, that I was a traitor. And I have been traduced; I have been slandered; I have been maligned; I have been called Judas Iscariot, and all that. Now, my countrymen, here to-night, it is very easy to indulge in epithets; it is easy to call a man a Judas, and cry out traitor, but when he is called upon to give arguments and facts he is very often found wanting. Judas Iscariot? Judas! There was a Judas, and he was one of the twelve Apostles. O, yes, the twelve Apostles had a Christ, and he never could have had a Judas unless he had twelve Apostles. If I have played the Judas who has been my Christ that I have played the Judas with? Was it Thad. Stevens? Was it Wendell Phillips? Was it Charles Sumner? They are the men that stop and compare themselves with the Savior, and everybody that differs with them in opinion, and tries to stay and arrest their diabolical and nefarious policy is to be denounced as a Judas. Well, let me say to you, if you will stand by me in this action, if you will stand by me in trying to give the people a fair chance, soldiers and citizens, to participate in these office, God be willing, I will kick them out. I will kick them out just as fast as I can. Let me say to you, in concluding, that what I have said is what I intended to say; I was not provoked into this, and care not for their menaces, the taunts and the jeers. I care not for threats, I do not intend to be bullied by enemies, nor overawed by my friends. But, God willing, with your help, I will veto their measures whenever any of them come to me." "Which said utterances, declarations, threats and harangues, highly censurable in any, are peculiarly indecent and unbecoming in the Chief Magistrate of the United States, by means whereof the said Andrew Johnson has brought the high office of the President of the United States into contempt, ridicule and disgrace, to the great scandal of all good citizens, whereby said Andrew Johnson, President of the United States, did commit, and was then and there guilty of a high misdemeanor in office. ARTICLE 11. That the said Andrew Johnson, President of the United States, unmindful of the high duties of his office and his oath of office, and in disregard of the Constitution and laws of the United States, did, heretofore, to wit: On the 18th day of August, 1866, at the city of Washington, and in the District of Columbia, by public speech, declare and affirm in substance, that the Thirty-ninth Congress of the United States was not a Congress of the United States authorized by the Constitution to exercise legislative power under the same, but on the contrary, was a Congress of only part of the States, thereby denying and intending to deny, that the legislation of said Congress was valid or obligatory upon him, the said Andrew Johnson, except in so far as he saw fit to approve the same, and also thereby denying the power of the said Thirty-ninth Congress to propose amendments to the Constitution of the United States. And in pursuance of said declaration, the said Andrew Johnson, President of the United States, afterwards, to wit: On the 21st day of February 1868, at the city of Washington, D.C., did, unlawfully and in disregard of the requirements of the Constitution that he should take care that the laws be faithfully executed, attempt to prevent the execution of an act entitled "An act regulating the tenure of certain civil office," passed March 2, 1867, by unlawfully devising and contriving and attempting to devise and contrive means by which he should prevent Edwin M. Stanton from forthwith resuming the functions of the office of Secretary for the Department of War, notwithstanding the refusal of the Senate to concur in the suspension theretofore made by the said Andrew Johnson of said Edwin M. Stanton from said office of Secretary for the Department of War; and also by further unlawfully devising and contriving, and attempting to devise and contrive means then and there to prevent the execution of an act entitled "An act making appropriations for the support of the army for the fiscal year ending June 30,1868, and for other purposes," approved March 20, 1867. And also to prevent the execution of an act entitled "An act to provide for the more efficient government of the Rebel States," passed March 2, 1867. Whereby the said Andrew Johnson, President of the United States, did then, to wit, on the 21st day of February, 1868, at the city of Washington, commit and was guilty of a high misdemeanor in office. 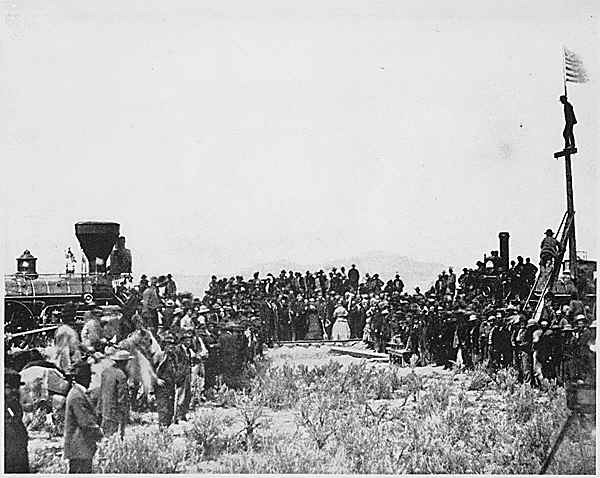 The trial would begin on March 5, 1868, presided over by Supreme Court Chief Justice Salmon Chase, in a Congress dominated by the Republican Party. There were forty-five Republicans and only nine Democrats. 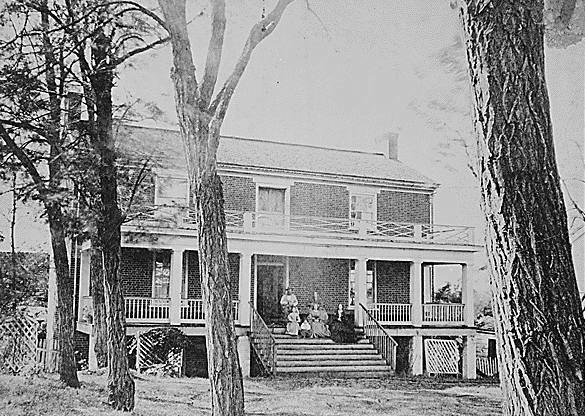 Many southern states had yet to be welcomed back into the chambers at the time of the trial. Also, many of the Republicans were Radical Republicans opposing Johnson. He had one major benefit, however, despite the odds. There was a faction of Republican Senators who thought protecting the power of the presidency might override the validity of the charges. Johnson's defense team brought in a convoluted, but distinct argument. That Stanton had not been appointed by him, and therefore, he had the right to replace him. And that the Tenure of Office Act was not constitutional and he had the right to challenge it to the Supreme Court. By May 16, 1868, the trial had been a spectacle with ticketed entrance to the Senate galleries for the public, but no appearance by the President. Three of the articles were brought up for a vote, Articles 11, 2, and 3. They all passed to impeach 35 to 19, but that was one vote shy of the two-thirds majority needed to convict. All Democrats voted not to impeach. Seven of the ten Republicans who did not vote to impeach were known as "Republican Refusants" who defied their party leaders, choosing to keep the Constitutional power of the President strong. Odd facts about the impeachment: There was no Vice President at the time; under the rights of succession, one of the Radical Republicans who wanted Johnson removed, Senator Benjamin Wade of Ohio, would become President if Johnson were convicted. He voted to convict him despite calls for his recusal. Be it enacted, That every person holding any civil office to which he has been appointed by and with the advice and consent of the Senate, and every person who shall hereafter be appointed to any such office, and shall become duly qualified to act therein, is, and shall be entitled to hold such office until a successor shall have been in like manner appointed and duly qualified, except as herein otherwise provided: Provided, That the Secretaries of State, of the Treasury, of War, of the Navy, and of the Interior, the Postmaster-General, and the Attorney general, shall hold their offices respectively for and during the term of the President by whom they may have been appointed and for one month thereafter, subject to removal by and with the advice and consent of the Senate. SEC. 2. And be it further enacted, That when any officer appointed as aforesaid, excepting judges of the United States courts, shall, during a recess of the Senate, be shown, by evidence satisfactory to the President, to be guilty of misconduct in office, or crime, or for any reason shall become incapable or legally disqualified to perform its duties, in such case, and in no other, the President may suspend such officer and designate some suitable person to perform temporarily the duties of such office until the next meeting of the Senate, and until the case shall be acted upon by the Senate; and in such case it shall be the duty of the President, within twenty days after the first day of such next meeting of the Senate, to report to the Senate such suspension, with the evidence and reasons for his action in the case, and the name of the person so designated to perform the duties of such office. And if the Senate shall concur in such suspension and advise and consent to the removal of such officer, they shall so certify to the President, who may thereupon remove such officer; and, by and with the advice and consent of the Senates appoint another person to such office. But if the Senate shall refuse to concur in such suspension, such officer so suspended shall forthwith resume the functions of his office, and the powers of the person so performing its duties in his stead shall cease, and the official salary and emoluments of such officer shall, during such suspension, belong to the person so performing the duties thereof, and not to the officer so suspended. SEC. 6. And be it further enacted, That every removal, appointment, or employment, made, had, or exercised, contrary to the provisions of this act, and the making, signing, sealing, countersigning, or issuing of any commission or letter of authority for or in respect to any such appointment or employment, shall be deemed, and are hereby declared to be, high misdemeanors and, upon trial and conviction thereof, every person guilty thereof shall be punished by a fine not exceeding ten thousand dollars, or by imprisonment not exceeding five years, or both said punishments, in the discretion of the court. Image above: Illustration of the Senate impeachment trial of President Andrew Johnson from Harper's Weekly, April 11, 1868 by Theodore R. Davis. Courtesy Library of Congress/Wikipedia Commons. 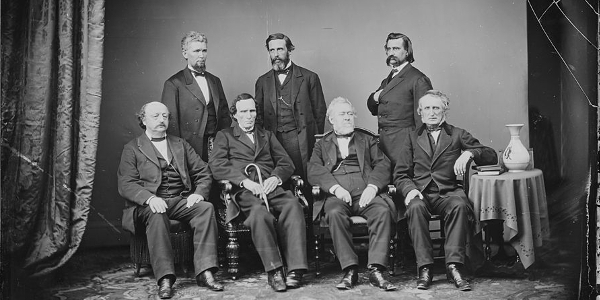 Photo below: Impeachment committee of the House of Representatives; Front row - Benjamin F. Butler, Thaddeus Stevens, Thomas Williams, John A. Bingham. Back Row - James F. Wilson, George S. Boutwell, John A. Logan. 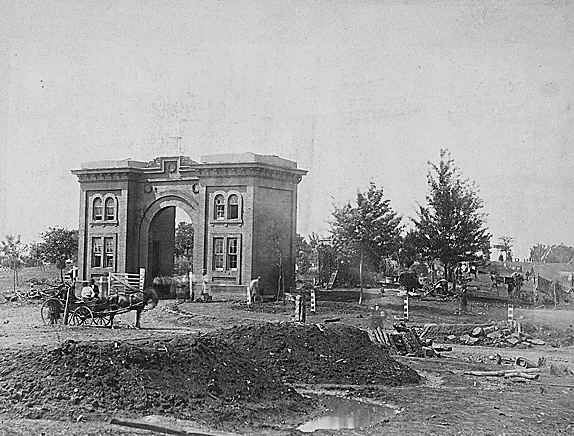 Photo by Mathew Brady from the National Archives and Records Administration. Info source: Wikipedia Commons; Teachingamericanhistory.org; Senate.gov. - Full Tenure Office Act Text.